Sauté onion and garlic in lard or butter. Add broth, salt, pepper, cumin, cayenne pepper, tomato, and pepper. Briefly chop cauliflower in a food processor until size of rice. 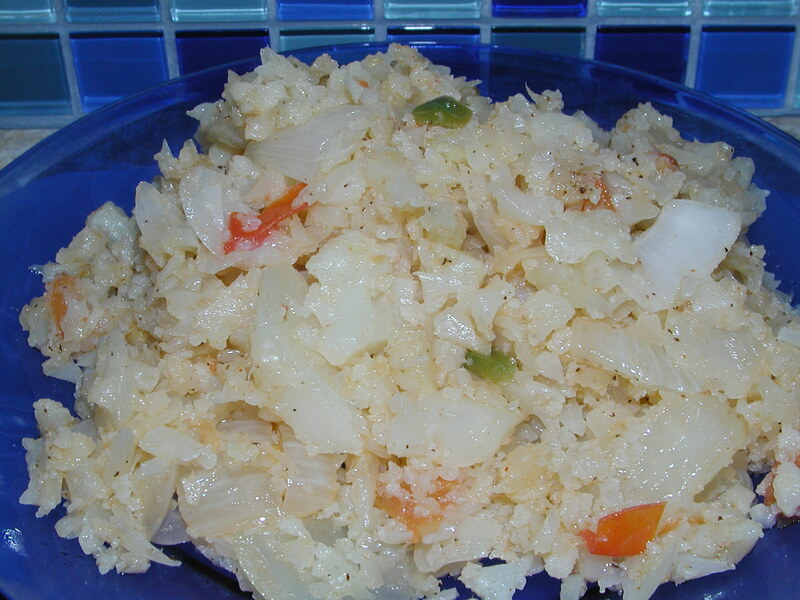 Stir in cauliflower. Simmer until liquid is gone and cauliflower is done. Enjoy!